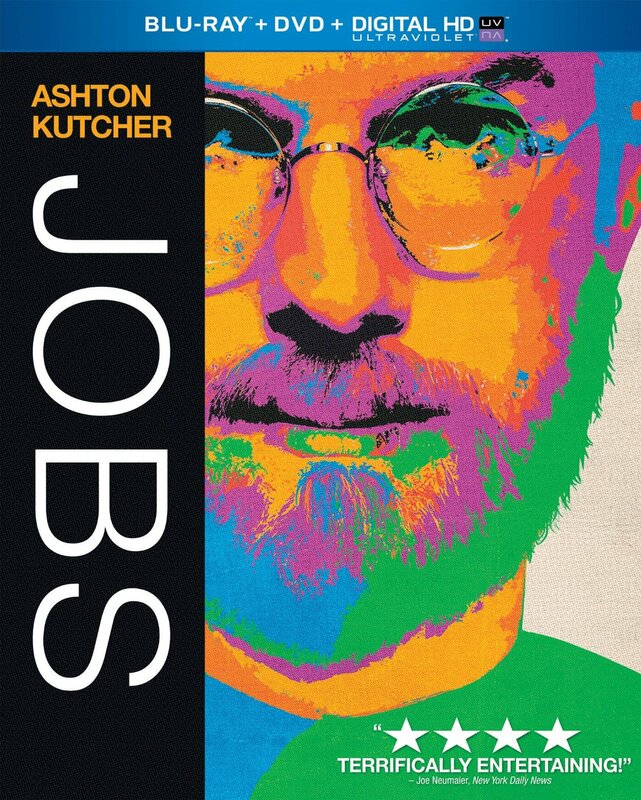 After the passing Apple co-founder Steve Jobs, a biopic starring Ashton Kutcher – jOBS (Universal) – showed up rather fast in cinemas, and although it not an awful film nor a cheap cash-in, it’s also not very good – except in the production department (or more specifically, props and production design). As a tie-in to the film, I’ve added a review of a doc on the company’s founding and early gear which may have fallen far below the radar. Robert Baca and Josh Rizzo’s Welcome to Macintosh (Baca Productions) is filled with details, facts, attitude, and reverence for All Things Apple. As a more peculiar tie-in, I’ve created a set of videos, although neither have anything to do with Apple, Macs, or Steve Jobs & Co.
A trio of vintage cameras used as props in jOBS showed up on Ebay, and I grabbed the most interesting because, well, it was big, blue, and cheap. 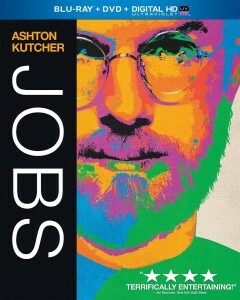 About a third into the film, you’ll see Jobs (Kutcher) launching the Apple II at a conference. Within that big crowd of extras are assorted media types – photographers, ENG cameramen – and the most obvious cameras are JVC’s very red KY-1900, and GBC’s very blue CTC-5X (the one I bought). You’ll see them in two shots – the wide angle and a reverse angle from Jobs’ stance. Yes, those are the moments of glory for the two pieces of dead tech. Over at Big Head Amusements, I’ve posted a short blog with (YouTube + Vimeo links) on Camera Test #102, the short about the big blue video camera from 1976 with narration by moi, and Flesh Tones, the arty-farty short I made with the camera, featuring appropriately trippy sound design which shouldn’t cause Brain Melt.